A generous artist is creating limited edition canvasses of DZG’s four orangs to raise funds for our £800,000 outdoor enclosure appeal. And we’re pretty sure orang fans will go ape for the exclusive artwork being donated by David Skidmore, which will be a graphite pencil-drawn montage of Benji, Jorong, Jazz and Sprout. 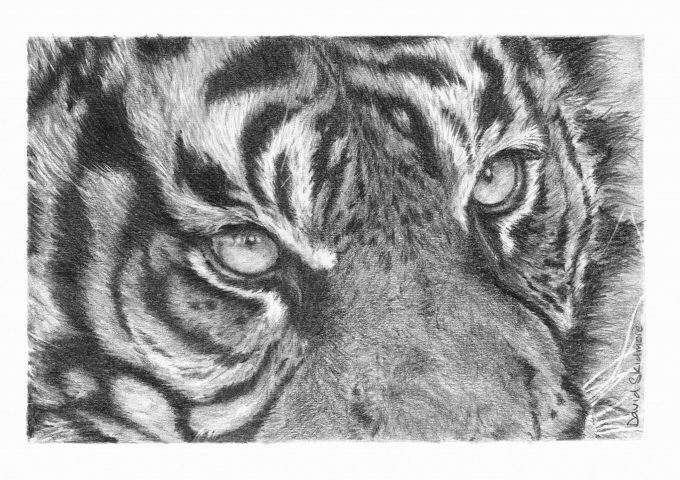 David, from Bromsgrove, has started work on the stunning sketch which will be printed on quality canvasses and sold in our Safari Shop from the middle of next month. The award-winning, semi-professional artist has already been behind the scenes to meet our Bornean orangs and spent time sketching and photographing them in an effort to capture their characters. 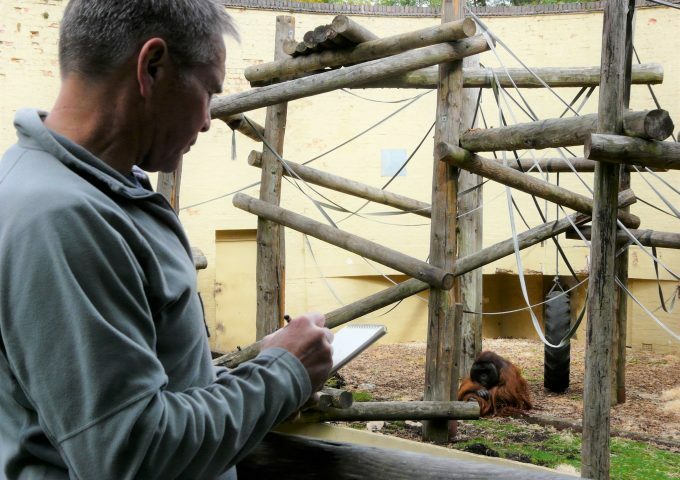 Originally from Cradley, 58-year-old David said: “I offered to draw the orangs as I’m a wildlife artist and conservationist at heart and hopefully the prints will give the zoo’s orangutan enclosure appeal a boost. David, a member of The Wildlife Arts Society International, also came on site earlier in the year to sketch our gorgeous Sumatran tiger Daseep. The piece is now being auctioned in aid of a global campaign helping to protect African elephants from poachers. Cradley Heath-based printing firm Dunns Imaging has also come on board with the artistic project and has offered to produce the canvasses at a reduced cost, to allow as much money as possible to go towards the appeal. So far DZG has raised almost £330,000 towards building an entirely separate outdoor enclosure, which we hope to start within three years. The money has been pulled together through donations, fundraising activities by zoo supporters and all purchases of adult and little zoo keeper experiences are being added to the total too. We’ll keep you posted about the limited edition prints!